Quinn, Willow, Krystal and Ellabeth are Unicorn Riders - empowered to protect the land of Avamay. 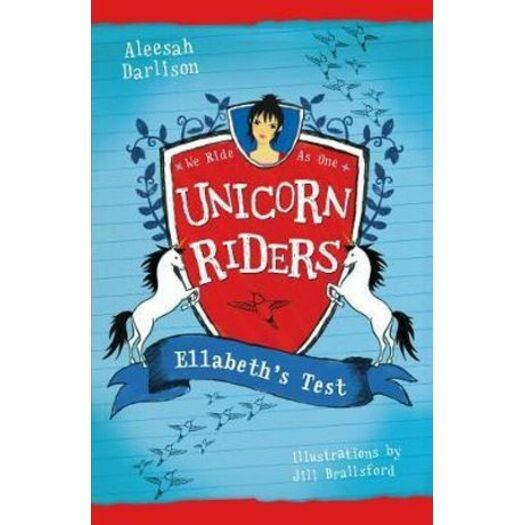 When Willow is injured, Ellabeth must step into the role of Head Rider and lead the Unicorn Riders on their next adventure. The girls must race to the home of the mysterious Dakkar Serpent in order to collect some of its diamond scales. But the mission proves to be more perilous than they thought it would be. Will Ellabeth be able to put her pride aside in order to complete the mission? Aleesah Darlison writes picture books and novels for children and reviews books for The Sun Herald. Aleesah has always loved unicorns and as a child she has collected unicorn figurines. Writing the The Unicorn Riders series has been a dream of Aleesah's for a long time and she is excited for modern readers fall in love with unicorns too. When Aleesah isn't chasing her writing rainbow, she's usually looking after her three very energetic children and her two dogs, Buck and Floyd. Jill was born in England and moved to Australia in as a young girl. She studied art and design after leaving school and has been illustrating on and off in between lots of part-time jobs including café cook, flower picker and stained glass window painter.